If Google Glass has proven anything, it’s that wearable tech is more than just an empty veneer seen in sci-fi films and at cosplay events. Glass actually works; you can control your Nest thermostat and even fiddle around with your Tesla Model S among other things. But what’s the one thing Google Glass seemed destined for the moment you read about it? No, it’s not watching adult films on the subway without anyone knowing. It’s navigation. Specifically, a continuous navigation experience from the moment you decide where you want to go to the moment you arrive at your destination. That’s exactly what Mercedes-Benz is hoping to deliver with a Google Glass navigation app of its own. Still in the development phases, Mercedes’ Glass app pipes directions through Google Glass and directly to the wearer’s eyeballs. From the moment they decide to head out the door to the moment they get out of their Benz, Mercedes’ Glass app would be there offering up directions every step of the way. This ‘door to door’ Google Glass navigation app is being developed by Mercedes-Benz’s Silicon Valley-based Research and Development North American team (MBRDNA). Recently, MBRDNA President and CEO Johann Jungwirth told Silicon Valley Business Journal that Mercedes’ ultimate goal for its Google Glass project is a “seamless” door-to-door transition between pedestrian directions and in-car GPS. Mercedes’ R&D describes a scenario in which a driver would simply input an address through Google Glass, jump in their car, and plug in their phone to the car’s tech interface. From there the destination is downloaded straight to the car’s navigation system. Once parked, the phone is then unplugged and directions are then fed back into Glass for the rest of the journey. Naturally, MBRDNA’s scenario is considerably more seamless than what we’re accustomed to now, and would eliminate the hassle of getting out a phone and re-entering location information. No doubt that all sounds pretty awesome, however, Wired recently had some hands-on time with Mercedes’s Google Glass app and found it to be a little rough around the edges. That’s because Google doesn’t offer Glass support for the Android-competing iPhone. On the flip side, Mercedes’ Glass app doesn’t work with Android because it’s designed with Apple’s iPhone in mind, which according to Jungwirth is the dominant platform for Mercedes-Benz owners. This tech platform disconnect causes a bit of a hiccup, according to Wired, requiring Mercedes to send information to its own cloud server between the iPhone and the non-Apple embedded infotainment system. 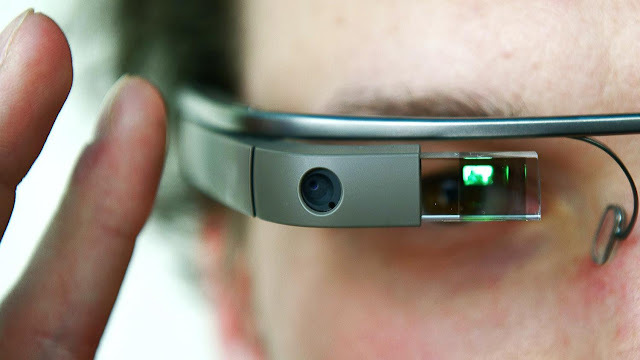 Once the phone is disconnected, Google Glass then takes over communication with the phone, which then allows information to be downloaded back to Google Glass for the remainder of the trip. So, at the moment, it’s complicated. Maybe too complicated. Of course, Google Glass hasn’t officially launched yet, meaning unless you were among the few to snag the $1,500 prototype version, you’re out of luck. They go into production sometime this year. Seeing how Apple often likes to let other companies jump first at new technologies before it comes out with a more polished and workable version, we wouldn’t be surprised if an Apple equivalent to Glass appears on Tim Cook’s head in the next couple of years, much to the delight of Mercedes owners. But it seems Mercedes wants to get ahead of the competition now and it’s looking like Benz owners should have something to play with by 2014. Read Now: Google bans face recognition apps on glass, lowers ceiling on device's future.